Salesforce CEO Marc Benioff has made good on a threat tweeted Wednesday evening, warning that the $4 billion company would “dramatically reduce” its investment in Indiana in response to a religious freedom law that critics say is a “license to discriminate” against LGBT individuals. On Thursday, just hours after Gov. Mike Pence signed the legislation, Benioff announced his firm was “canceling all programs” that require its customers or employees to travel to Indiana, saying he would not subject them to discrimination. Indiana is the first state to enact such a change this year among about a dozen where such proposals have been introduced. The measure would prohibit state and local laws that “substantially burden” the ability of people — including businesses and associations — to refuse services to individuals based on their religious beliefs. 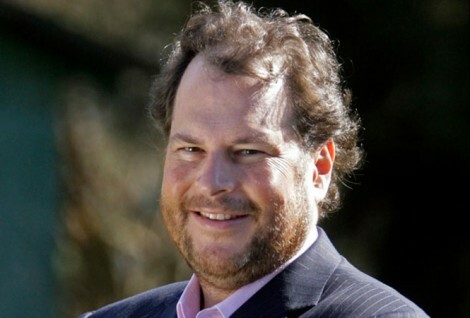 Benioff says that goal puts Indiana law at odds with Salesforce philosophy. “We are forced to dramatically reduce our investment in Indiana based on our employee’s and customer’s outrage over the Religious Freedom Bill,” he tweeted. He is also calling on other technology company CEO’s to take similar action. Salesforce is a 16-year-old cloud computing company headquartered in San Francisco. It was among a number of businesses, including the Indiana Chamber of Commerce and local employers including Alcoa, Cummins, and Eli Lilly & Co., that spoke out against the bill. Update: Also Thursday, San Francisco mayor Ed Lee banned all all taxpayer funded travel for city workers to the state of Indiana.